 It was a few weeks ago when I was the wedding videographer for Kate and Daniel. They chose Heaton House Farm in Rushton Spencer, an astounding location to celebrate their wedding. I always look forward to filming another wedding at Heaton House Farm, it is a stunning place for such a wedding. It was a pleasure capturing Kate at Heaton House Farm as she got ready for the day. I get to video extraordinary moments as the bridal party interact during preparations. Kate and Daniel exchanged rings and said their vows in a beautiful ceremony in the main barn at Heaton House Farm. It’s moments like this that make my job as a Cheshire wedding videographer so rewarding. During the wedding reception I filmed the guests mingling and having their pictures taken by the photographer. There was an assortment of drinks for guest to choose. I mingled around the wedding party shooting the guests candidly whilst they enjoyed their drinks. This was a stunning Spring wedding and we made sure we got some lovely portraits at the venue. It was a bright and sunny day, which I was really pleased about, and all the guests were able to enjoy the grounds. I always look forward to the speeches, I think they are one of the highlights of the day. Filming the speeches is especially great, as I’m able to capture the words that were spoken, as well as everyones emotions. Kate and Daniel created an amazing day and I’m sure they will be really happy together.